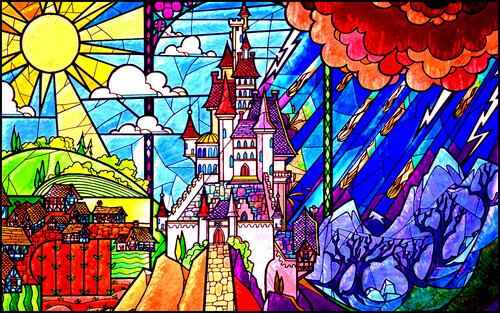 Beauty and the Beast 壁纸. . HD Wallpaper and background images in the 迪士尼经典系列 club tagged: photo beauty and the beast 1991 movie wallpaper widescreen stained glass.